Until recently, many doctors prescribed hormones and vitamin supplements in the hopes of preventing the progression of heart disease. But hormone replacement therapy - HRT - has come into serious question since a large study was canceled last summer after some women taking hormones showed a higher risk of cardiovascular disease, stroke and breast cancer. The Early Show medical contributor Dr. Emily Senay reports that a new study in The Journal Of The American Medical Association shows that post-menopausal women with heart disease do not get any benefit from taking hormones or megadose vitamins C and E. The therapies may actually have caused harm. At the end of three years, heart health had worsened in women taking vitamins, HRT or both in combination. Neither treatment provided any benefit and both showed a trend toward a harmful effect. More patients died in the HRT and vitamin groups than in the placebo group. More patients in the HRT and vitamin groups experienced a nonfatal heart attack or stroke. This really adds significantly to the growing body of evidence that hormone replacement therapy does not do any good for the heart, and that hormones are not a magic cure-all for problems associated with aging. The study also is the first trial to look at megadose vitamins E and C taken in conjunction with hormone therapy. The vitamin doses were much higher than standard multi-vitamin preparations. Although there is some previous evidence that antioxidants are not helpful in preventing heart disease, the trend toward more deaths was unexpected. Hormone replacement therapy can prevent symptoms of menopause and slow down osteoporosis and antioxidant vitamins can help protect the body's cells from damage that can lead to chronic disease like cancer. Vitamin deficiencies can also lead to a number of health problems. 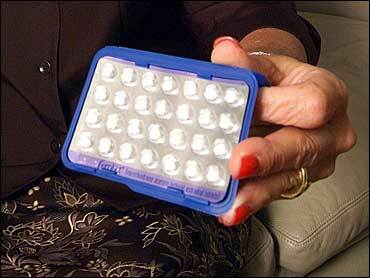 The study dealt with a small group of women and did not include all brands of hormone therapy. The study was done in postmenopausal women with coronary disease and that doesn't mean the results are necessarily applicable to others taking different medications.